Named for John Adair, governor of Kentucky. Named for Andrew Jackson Davis. Named for David Rice Atchison, United States senator. Named for David Barton, United States senator. Named for Thomas Hart Benton, United States senator. Named for George F. Bollinger, pioneer settler and Missouri legislator. Named for William O. Butler, A Kentucky congressman. 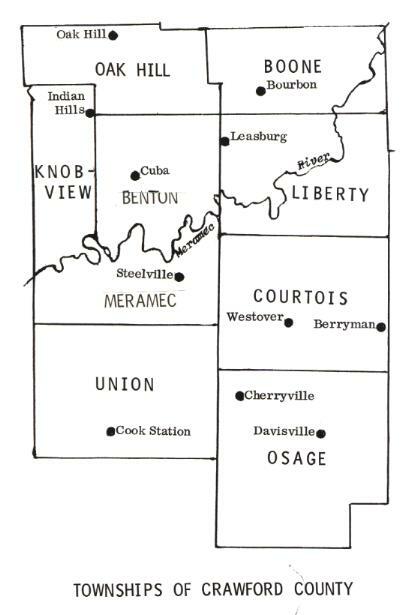 Originally organized January 29, 1841 Van Buren county. Named for its abundance of "cedar trees."